2nd Bracknell and The Parks Scout Groups enjoyed a sunny afternoon at The Parks Community Hall and park last Sunday 17th July in celebrating the past year of scouting with over 200 members, their families and dogs. It was themed “give it a go” and everyone enjoyed the activities rope making, wide games, pioneering, garden games, dog agility and a bouncy castle, finishing with a BBQ and smores yum! 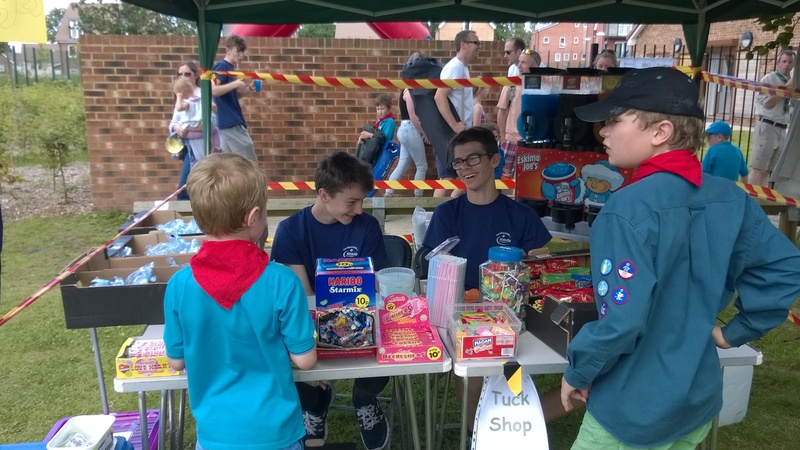 and if they were still hungry the Explorer Scouts ran a tuck shop to raise funds for their next camp. This entry was posted in Group by Condor. Bookmark the permalink.